It would seem that a bicycling infrastructure in Colorado Springs would be a no-brainer. We are an outdoorsy city, with a high percentage of athletic interest; we are in a gorgeous setting, and have a population who is interested in and dedicated to continued enjoyment of the outdoors; we enjoy tons of sunshine and a fantastic climate and there are plenty of built in opportunities to commute, to mountain bike, and to cycle here in the shadow of Pikes Peak. If you try to ride your bike around Colorado Springs it won’t take long to realize that an absence of bike lanes, trails that are not interconnected, and a lack of bike parking at major gathering points around the city are just the start of the problems. Potholes and drivers who refuse to share the road (not to mention uninformed cyclists who hog the road) make what should be a simple commuter option, a non-option. For example, recently painted bike lanes near UCCS have been called a “death trap” and the city has yet to admit how poor planning has left us without a safe non-motorized transportation option. This year three organizations – The Pikes Peak Area Council of Governments, The Trails and Open Space Coalition and Steer Davies Gleave worked together on a report entitled “The Economic Impact of Cycling in the Pikes Peak Region” which was released in March. In the report, they determine that our entire region could triple the current economic benefit of cycling by investing in cycling infrastructure and facilities. That means an investment around $30 to $45 million could produce a total benefit of $81 million, annually. For a city that is currently looking for ways to increase revenue, cycling seems like a good fit for local lifestyles and our economy. Are we sitting on a gold mine? Not taking advantage of the benefits of an improved cycling infrastructure sounds ludicrous. It would cost less than other proposed projects (ahem…stadium), provide daily benefits to our city by way of health and traffic de-congestion, increase tax revenue and tourism, as well as provide ways for current residents to enjoy the town. 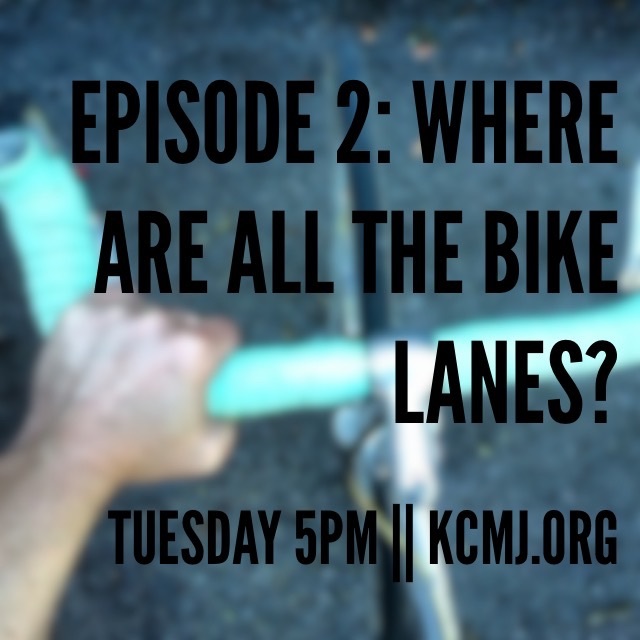 So, on our show airing Tuesday August 25th we ask, Where are all the Bike Lanes? Update: One of our listeners provided an updated version of the Regional Non-motorized Transportation System Plan that we mentioned in this episode. You can find that information HERE. Next Post Episode 3: Are we in a Brewery Bubble? When I moved here in the 1980s I didn’t have any problem riding around town, hogging a lane if necessary and otherwise being an assertive commuter.. even the Gold Camp Road, open all the way, was no issue — motorists were polite, and we didn’t use fingers and other expressive devices. Now demeanour has changed, and the rat race appears to consume the typical motorist who sees us as an annoyance; indeed in the Mecca of Boulder County (outside the city) sees anyone pedalling on their roads as a trespasser; El Paso country doesn’t have enough paved roads yet to pose a danger. Perhaps the strategy should be education, not taxation…. didn’t someone fight a revolution over that?